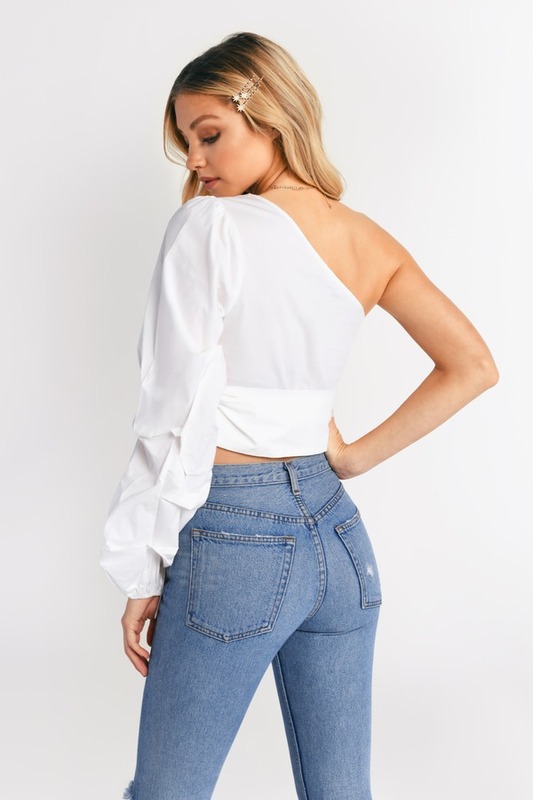 Check out Tobi's Joanne One Shoulder Crop Top Drape yourself in the Joanne White One Shoulder Crop Top. 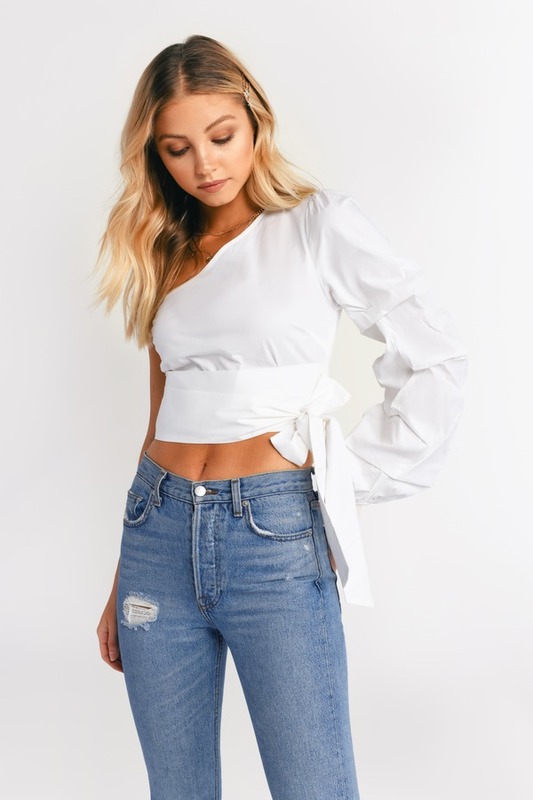 This high fashion inspired blouse features a one shoulder cut with ruffle detailing on a statement sleeve and a wrap tie to keep everything together. Pair with a high waisted skirt or dark wash jeans and show off this breezy summer top! Drape yourself in the Joanne White One Shoulder Crop Top. This high fashion inspired blouse features a one shoulder cut with ruffle detailing on a statement sleeve and a wrap tie to keep everything together. Pair with a high waisted skirt or dark wash jeans and show off this breezy summer top! 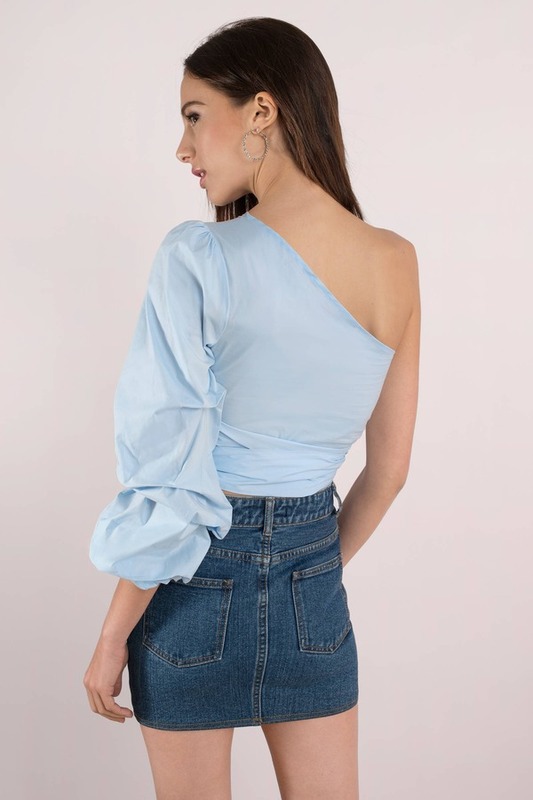 Drape yourself in the Joanne Light Blue One Shoulder Crop Top. 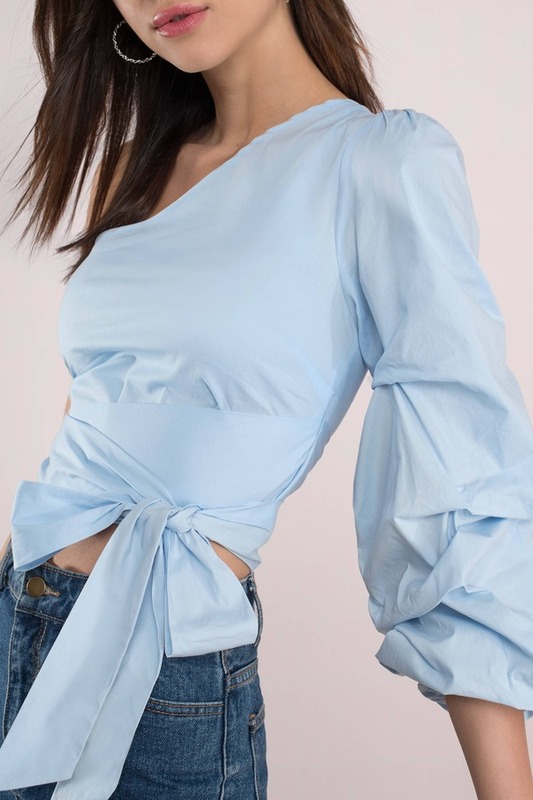 This high fashion inspired blouse features a one shoulder cut with ruffle detailing on a statement sleeve and a wrap tie to keep everything together. Pair with a high waisted skirt or dark wash jeans and show off this breezy summer top!